March 31, 2018 March 31, 2018 by . We all know it, we all crave it, and those who aren’t reliant on it get odd looks as we question why we interact with them. That’s right, I’m talking about the sweet nectar of the gods, coffee. 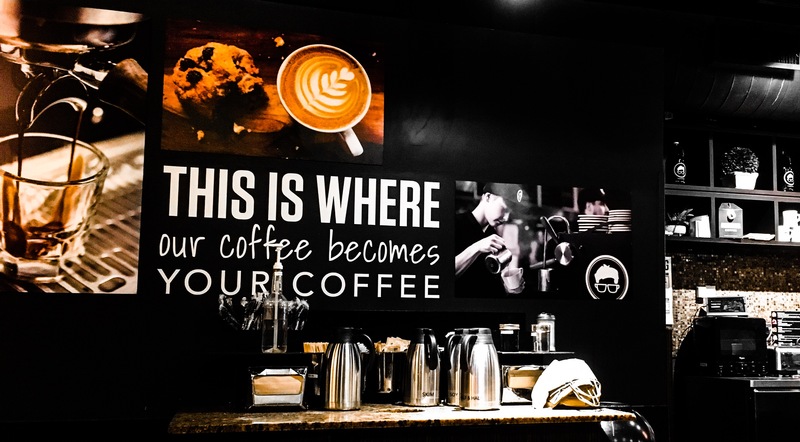 The coffee shop sector is one of the most successful in the Western economy. While the rise in coffee shops and drinking coffee away from our homes is good news for business, it accelerates questions about sustainability around consumption and waste. So how are some companies addressing this? The Sustainable Restaurant Association (SRA) is a non-profit organization that has launched a Café Programme which calls for cafés to ‘go beyond the beans’ as an effort to operate a sustainable food system business. The programme evaluates the sustainability of cafés based on three main categories: environment, society and sourcing. Within these categories there are different groups which allows the small businesses to assess where they stand on the sustainability scale. Furthermore, the categories and groups push efforts to become sustainable beyond their sourcing of beans and tea. What about when you’re on the go? That little to-go cup is doing our planet a lot of damage with an estimated disposal rate of 2.25 billion cups of coffee annually in Australia alone. And in the 20th century, there’s no cultural artifact greater than the Starbucks’ single-use cup – especially around holiday season, when the designs keep changing and the annual debate resumes. According to the International Coffee Organization, roughly 600 billion paper cups are distributed world wide each year, with Starbucks estimated to be responsible for ~1% (6 billion) annually. Now before we all start hating on Starbucks for their negative sustainability impact, they are far from being the only culprit contributing to the world’s growing pollution and the Seattle-based company is doing something about it. On March 20, 2018, the company launched a 10$ million competition to the development of a better single-use coffee cup – one with the capabilities to be either composted or recycled. Additionally, the coffee chain is experimenting with a bio-liner, partially made with plant-based materials, for its paper cups in hopes to creating a bio-sustainable cup that also meets “safety requirements and quality standards”. So I guess we can’t get too upset with those Starbucks basics. Costa coffee has also been making multiple efforts to be more sustainable. Their coffee cups is made of recycled content and the lid is 100% recyclable and they are currently working with manufacturers to try to create a cup that can be recycled anywhere in the world. Customers can also request used coffee grounds for free to be used in the garden as a natural plant fertilizer or to add to a compost pile. Costa has also launched an “eco pod” coffee shop that uses a range of energy saving technologies to achieve zero energy through passive ventilation and construction design, minimizing the energy required to heat/cool the shop itself. Birch Coffee in NYC, has created a community around sustainable food and beverages, while simultaneously being a “simple yet special spot t get away from life’s gruelling demands and regain a little peace of mind.” The cafe is housed in an existing hotel on the Flatiron District of Manhattan, and its food/beverages aren’t the only things that make is sustainable. The countertops are made with high recycled content concrete from artisans located in New Jersey; all the furniture is made from reclaimed wood retrieved from old buildings and finished with eco-friendly stains. All of these features (along with many others), has inched the coffee shop to be potential LEED-Gold rated project. And their coffee isn’t too bad either. We know that companies are slowly starting to practice sustainable food systems and coffee culture, but what can we do at home? Here are four super simple ways you can have your next cup of coffee a bit more guilt free! Long live sustainable food system and coffee culture communities!